Completed in 1976, the Westin Peachtree Plaza Hotel is 220m tall and has 73 floors. Behind it is the 1990 191 Peachtree Tower that is 235m tall and has 50 floors. 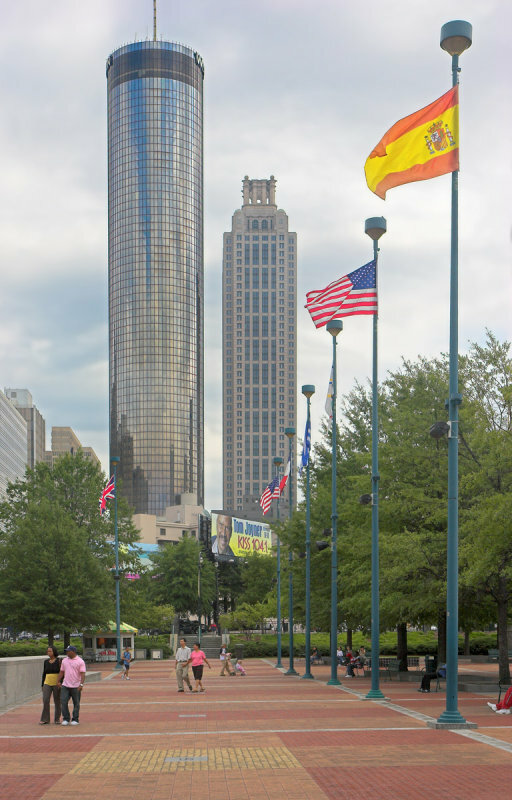 Viewed from the Centennial Olympic Park with flags of nations that have held the Olympic games. Nice shot, I hope that they replace the windows one day soon.